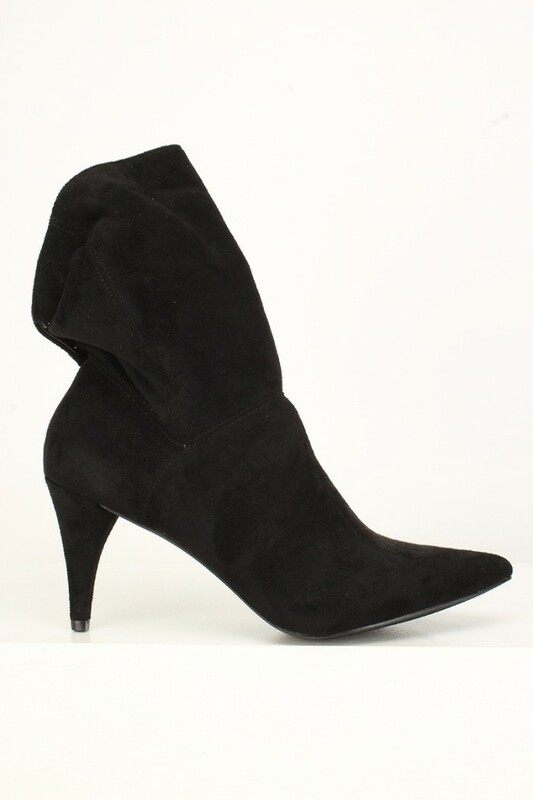 Rock these booties for a fashion-forward look! Featuring; faux suede, slouchy, adjustable back button, and a cushioned footbed. Approximately 3 1/4 inch heel.